Maruti Suzuki Swift is an established name in hatchback segment of Indian car market which does not require any introduction to introduce itself. Since its inception the hatchback emerged as the symbol of performance and authenticity. Although during these successful years of its journey the hatchback underwent various contemporary cosmetic changes and succeeded in winning various awards and honors at national and international level. It is now reported that the car maker is going to launch the all new facelift version of Swift hatchback to Indian car market sometimes during the month of November this year. The next generation Maruti Swift is expected to under-go various cosmetic changes, but will however continue the existing engine configuration in both petrol and diesel variants. The petrol version of existing Swift is empowered with 1.2 litre K series petrol engine while the petrol is energized with 1.3 litre diesel engine. It is speculated that the exteriors of hatchback will receive daytime running lamps followed by integrated turn lamps on ORVMs. Inside the cabin the passengers of new Swift will receive noise free interiors. It is expected that most of the features inside the cabin will almost be the same, however it is speculated that to provide comfort seating experience to the buyers company may enhance the rear seat legroom. 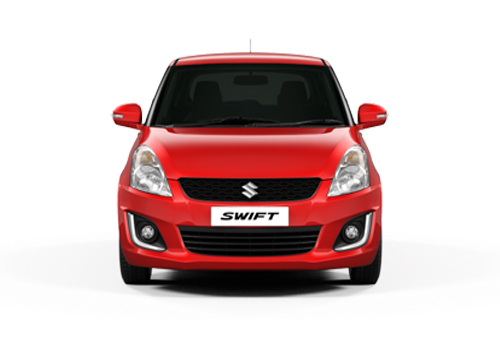 Industry experts believe that car maker may also offer the Swift 2014 in an automatic version. However all these are still predictions and company has not disclosed any of the information about the new changes that will be offered in new Swift. It is speculated that the new Swift would be priced little bit expensive than the existing version. Click here to know about the features offered in existing version of Maruti Swift.